The Dirt The story of how Mötley Crüe came to be one of the most notorious rock 'n roll groups in history. Berlin, I Love You Latest installment of the Cities of Love series (Paris, je t'aime / New York, I Love You / Rio, Eu Te Amo), this collective feature-film is made of ten stories of romance set in the German capital. Alien Invasion: S.U.M.1 An aggressive race of aliens took over Planet Earth and humanity's at its end, living in giant bunkers below ground. 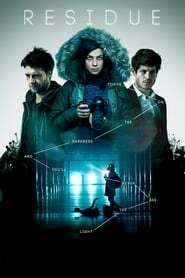 Young Military rookie S.U.M.1 (Iwan Rheon) is sent to the surface to save a group of unprotected survivors. Wild Bill Out on parole after 8 years inside Bill Hayward returns home to find his now 11 and 15 year old sons abandoned by their mother and fending for themselves. Unwilling to play Dad, an uncaring Bill is determined to move on. Residue The government cover-up of the causes behind a massive explosion in a futuristic UK metropolis spur photo journalist Jennifer Preston on to search for the truth and in the process blow open a paranormal phenomenon haunting the city.